If you are looking for the best BBQ sauce, you will find it wherever you go. In other words, if you go to Memphis and ask what is the best BBQ sauce, most of the people there will tell you a Memphis style sauce. It's like Clint Black's song says, "wherever you go, there you are". Without getting into all the history and background, let's just say that BBQ sauce varies by region of the country. If anything is agreed upon in the world of BBQ, it's that BBQ sauce is different depending on where you go. So, you now have to decide for yourself which recipe is the best. Because... no one else knows. Most people have their own choice of what's the best BBQ sauce, but nobody can agree. There are too many of them out there to pick from. Even areas in regions of the sub-regions have their own variations of the same style (what a mouthful). Who cares which sauce is the best? You do... right? (Say right.) OK, then....the best BBQ sauce recipe is the one that is your favorite. The best way to find that out is to make it yourself. So, let's get started. 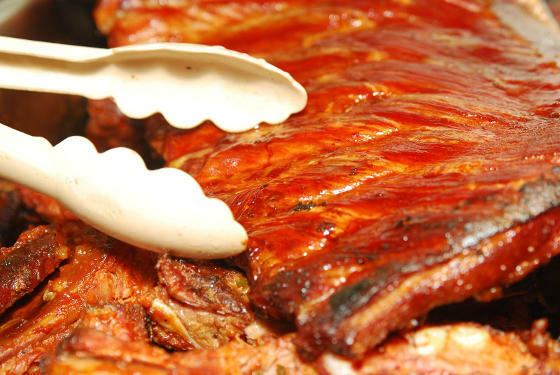 BBQ sauces have combinations of sweet, sour, spicy, and tangy ingredients. The primary ingredients for most styles of sauce are tomato (sauce, paste, or ketchup), vinegar, spices and sweetness, or combinations of these. Sauté the onion in butter, then add the remaining ingredients. Heat the mixture until it thickens (15 to 20 minutes). Any of the ingredients can be changed, added or deleted. A BBQ sauce can be as simple as tomato sauce and Worcestershire, or even vinegar and pepper flakes. But you can also make it as complex as you like, too. You could even use salsa as a base ingredient. Notice, in the above recipe, that tomato sauce and vinegar are of equal amounts. These are the two prime ingredients that will determine a basic style. As the ratio of these ingredients change, so does the location of where it is made. Kansas City style sauce is thick, sticky and sweet. To change the above recipe to a KC style, try reducing the vinegar to 1/4 cup and replace the Worcestershire with dark molasses. Add a few select seasonings like paprika, chili powder, and allspice (maybe a touch of cinnamon). To go the other direction from Memphis, change the tomato sauce to 1/2 cup of ketchup and add some garlic, cloves and 1 cup of water. Increase the brown sugar to 1/2 cup. This will result in a thinner BBQ sauce similar to that used in North Carolina. A Texas style sauce would mean to decrease the vinegar to 1/2 cup and add 1 1/2 cups of water. Add some additional celery, garlic, paprika, and (of course) chili powder. This may sound like a lot of work, but it is also a lot of fun, too. It's really, though, the best way for you to answer that question, "what is the best BBQ sauce recipe?". And you don't have to start with this recipe, either. There are many, many, many of them available in cookbooks and online. Find one that is close to what you want (thick, thin, sweet, spice, etc. ), get yourself another drink, and go to town. There may be no such thing as the best, but this is a way you can find your favorite. And by the way, you will know it when you find it. Editor's Note: Jeff Slankard is the owner of Original BBQ Recipes. To learn more about BBQ sauces and styles, please visit.